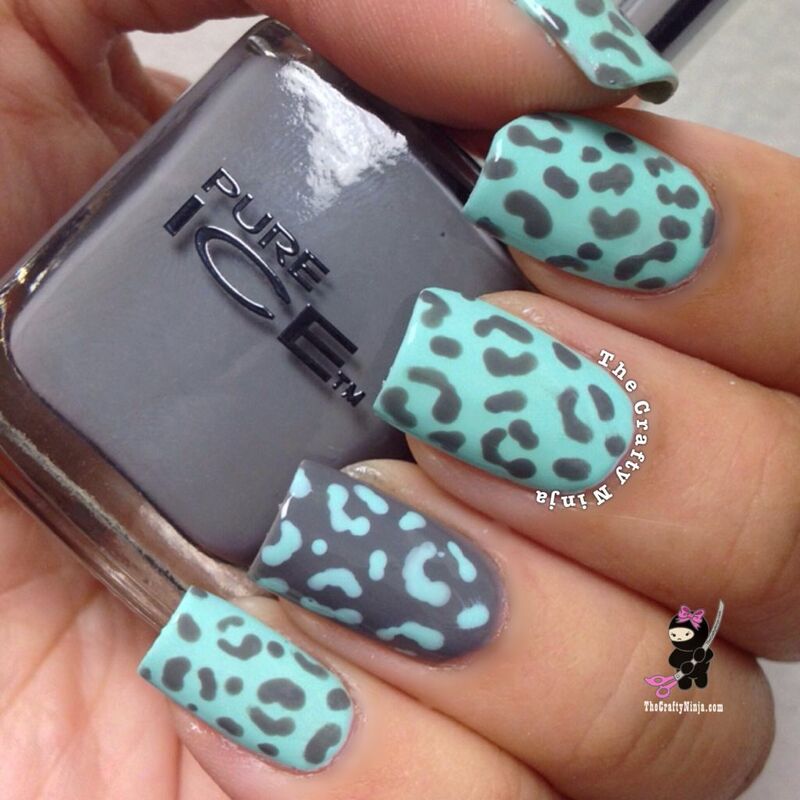 I was inspired by my sock to create this Mint and Gray Leopard or Cheetah Print Nails. The beautiful colors combination of Mint and Gray make a perfect pairing. I nail polishes I used are Pure Ice Kiss Me Here and The Face Shop Green.